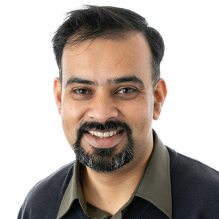 Dr Anupam Bhardwaj is a highly-regarded Consultant Child Psychiatrist currently working for Child and Adolescent Mental Health Services (CAMHS) in Cambridge with over 6 years’ experience working for the NHS as a Consultant Child Psychiatrist. He has a medical degree, Membership of the Royal College of Psychiatrist and is a Doctor of Medicine (MD) in Psychiatry. He is registered with the General Medical Council as a Specialist in Child and Adolescent Mental Health. Dr Bhardwaj has expertise in assessing and treating a wide range of complex psychiatric and emotional difficulties in young people, and his areas of special interest include Mood Disorders in Young People, Autism and ADHD. He uses an eclectic approach when doing psychological treatment. He has had training in systemic, psychoanalytic and cognitive models of psychotherapy. Dr Bhardwaj has medico legal training. He is confident in diagnosing and treating ADHD, eating disorders, family dynamics, the impact of mental health on parenting, PTSD, Tourette’s Syndrome, treatment recommendations, autism, depression, substance misuse and addiction, and Obsessive Compulsive Disorder (OCD). Dr Bhardwaj has published research in reputed peer reviewed journals and is active in medical education, currently the joint lead for the Academic Programme for Child Psychiatry Teaching for Eastern Deanery Higher Trainees. Over the years, Dr Bhardwaj has actively engaged with primary care and schools and has held workshops and seminar on relevant child and adolescent mental health issues. Dr Bhardwaj is described by his peers as honest, reliable and hardworking, displaying great character and a real interest in supporting his clients towards a better quality of life. Clinical Partners are proud to present Dr Bhardwaj’s profile as part of our Cambridge team. An eclectic approach using principles of systemic, cognitive and psychoanalytic models of psychotherapy. You don't need a GP referral to see Dr Anupam Bhardwaj.